Start Somewhere with a healthy salad! Quinoa is full of nutrients, protein, and antioxidants. This seed is gluten-free and makes a great substitute for pasta in your salads. 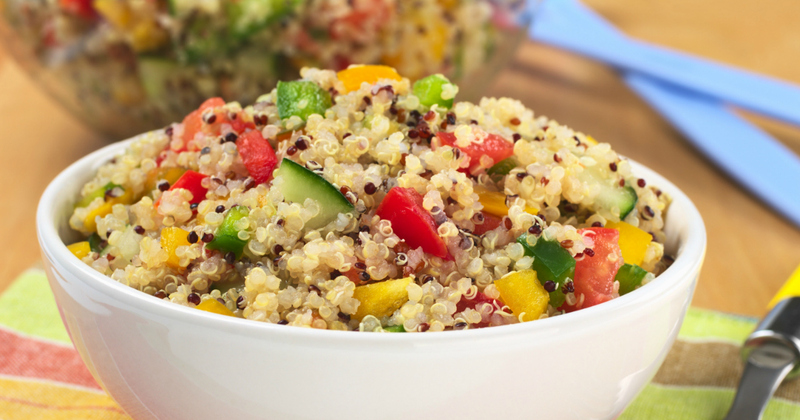 A quinoa salad is a great, healthy dish to bring to parties and gatherings. Cook quinoa in organic chicken stock. Combine salad dressing ingredients while quinoa cooks. Combine vegetables and black beans in large bowl. After quinoa is cooked, set aside to cool down. Add quinoa and dressing into the bowl of vegetables and toss.